British DJ Goldie may have inadvertently confirmed the identity of infamous graffiti artist/prankster Banksy according to CNN. The Robert he is referring to appears to be his longtime friend Robert Del Naja of Massive Attack whom Goldie collaborated with back in the early 1980s. Scroobius changed the topic shortly thereafter and never followed it up but considering the relationship between Goldie and Del Naja, it would appear likely that he and Banksy are one in the same. It has been speculated before that Del Naja is indeed Banksy due to the prevalence of Banksy graffiti that has appeared near Massive Attack shows. 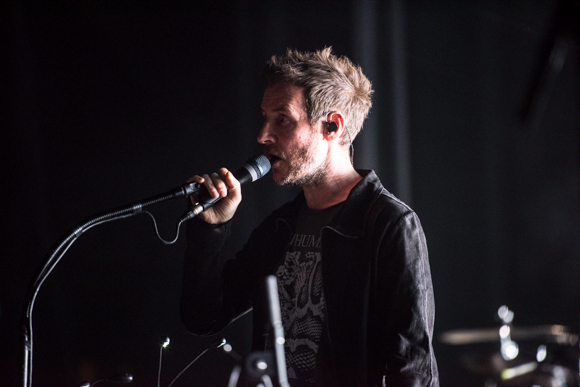 There have been numerous instances of Banksy artwork appearing in the cities that Massive Attack has recently played in, with many pieces appearing the day of or the day after a Massive Attack concert. The street artist has never publicly revealed his identity and up to this point in time all the public has been able to do is speculate and theorize but with this latest revelation from Goldie it would appear that the mystery may have finally be solved.